Happy Tuesday! I was MIA yesterday but living it up in Pismo Beach. My day consisted of delicious food, family and the beach. That is my idea of the perfect kind of quick getaway! I will have a full recap of Pismo Beach on Thursday for Travel Thursday but first let’s rewind a bit to Friday night. After work, the husband and I decided we wanted to grab some food out. I am the world’s most impatient person (Type A all the way) which makes waiting seem like torture. I agreed to go out if there was no wait wherever he decided! Thank goodness, the restaurant he had in mind had no wait at all. We went to Luna’s Modern Mexican Kitchen for my first visit. 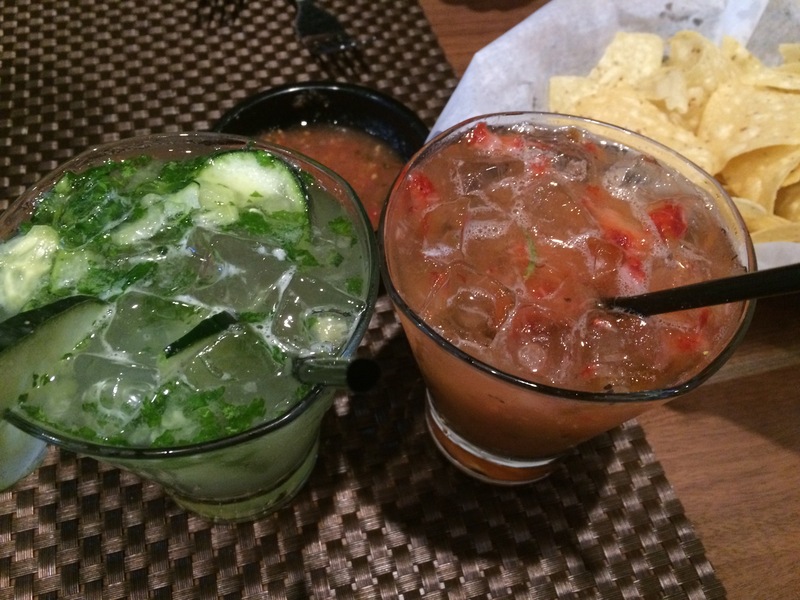 We started off with chips and salsa (which always results in spoiling my appetite) and delicious margaritas! For an appetizer, we had their table side guacamole which was fresh and inhaled by both of us! By the time our food came out, I was not hungry but I managed to find a spot in my stomach for the unique dish I ordered. Their food is Mexican with a twist. The waiter explained that their dishes are Mexican food items with a European or South American flair. 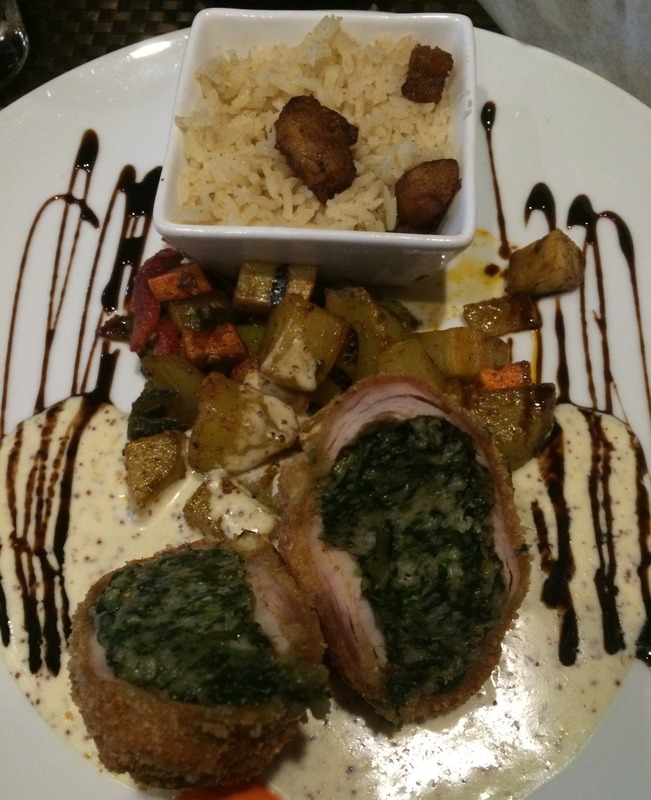 I had their chicken dish that included plantain rice, fresh veggies and a cheese spinach stuffed pollo. It was such a weird concept because the dish tasted like a Mexican cordon bleu! I left the restaurant knowing we would be back very soon to try other items. We finished the night by picking up Emma to walk to Baskin Robbins for ice cream. Emma loved the attention from people sitting outside the shop. She kept begging her daddy for some of his ice cream. What can I say, she loves food like her mom. 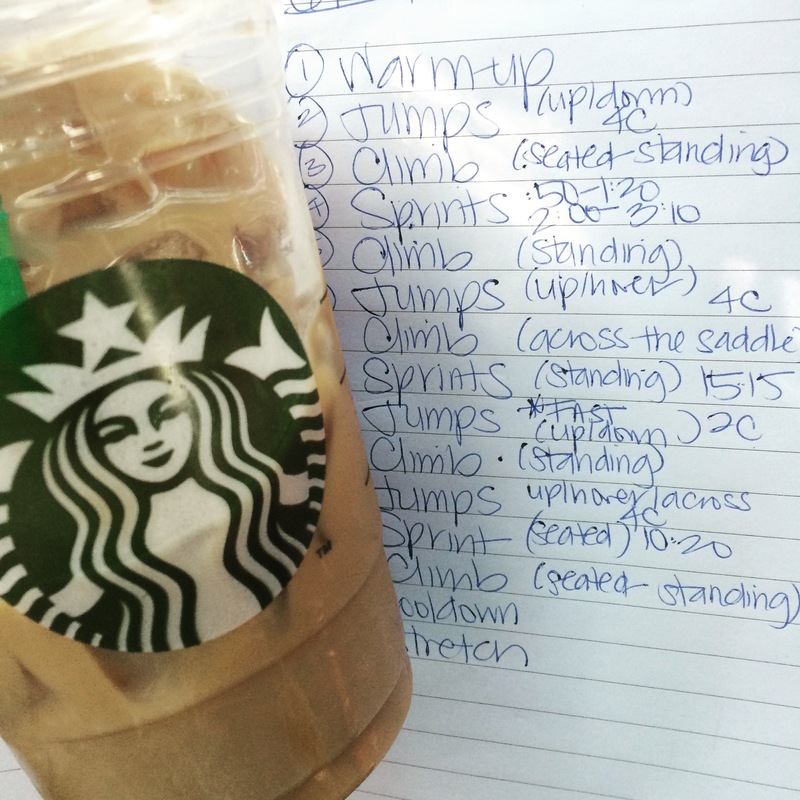 On Saturday, I woke up to teach my 8am Cycle class which was a packed, energetic class. We were drenched in sweat 2 songs in and left feeling so accomplished to finish my workout before 9am. I stopped to get Starbucks on the way home since I knew the husband and I would need the caffeine for the full day of moving ahead. We packed, moved and stored 90% of my old apartment. At the end of the day, I checked my Fitbit and had walked 20,000 steps (twice my daily goal). By the end of the night, we relaxed after our extremely tiring day. Lifting heavy boxes and walking up and down stairs is a great workout! Sunday started with my 9am Cycle class. I did some errands and stopped to see my Dad on Father’s Day before heading up to Pismo Beach. Unfortunately the drive took forever with traffic but it was worth it once I made it up there! I will recap all the amazing food & fun this week but needless to say I ate my weight in delicious food as seen on Instagram. 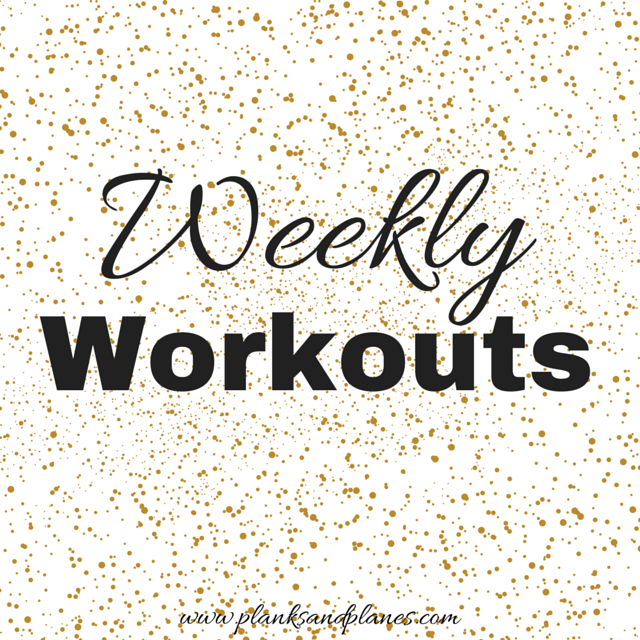 This week’s workouts included an additional Rest Day since I have been busy with moving. Since I have been struggling to get strength training in, I found an arm & ab challenge on Pinterest that I am going to start next week with my sister. Hopefully having the move out of the way will also result in more strength workouts this coming week. Talk to you tomorrow with my latest Stitch Fix recap! Tell me: How was your weekend? Do you mind waiting in lines or for a table at a restaurant? This entry was posted in Fitness, Travel, Weekly Workouts, Workout, Workouts and tagged Fitness, Travel, Weekly Workouts, Workout, Workouts. Bookmark the permalink. YAY! You’re back. I did not enjoy your hiatus yesterday. Your Mexican food meal looks phenomenal! 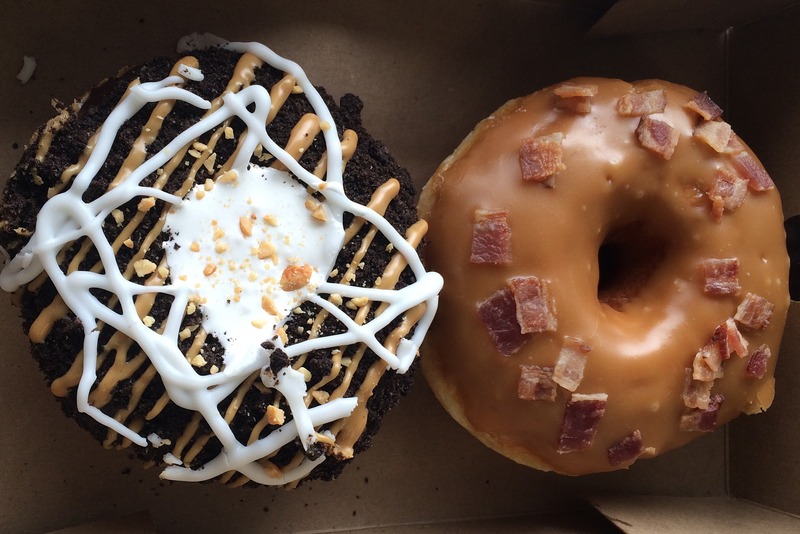 Also – those donuts look equally delish. 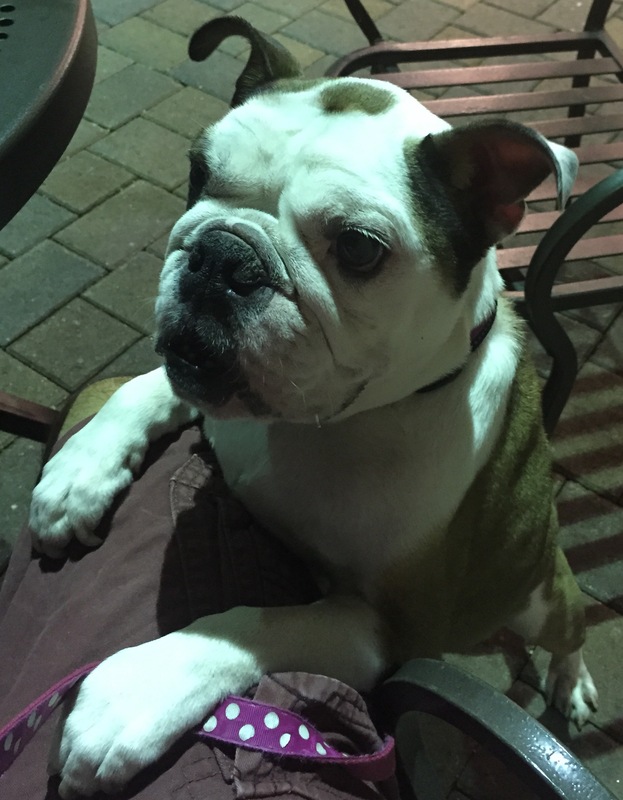 And of course, my little Emmy is the cutest little beggar love bug!! Emmy has been very photogenic these days! 🙂 We will have to try Luna in the next couple weeks. I think you would like it- it is really cool but low key place! Can’t wait to hear about Pismo! 🙂 I enjoyed it immensely!! And I can’t wait to start our arms and abs challenge!! ❤️ You! !